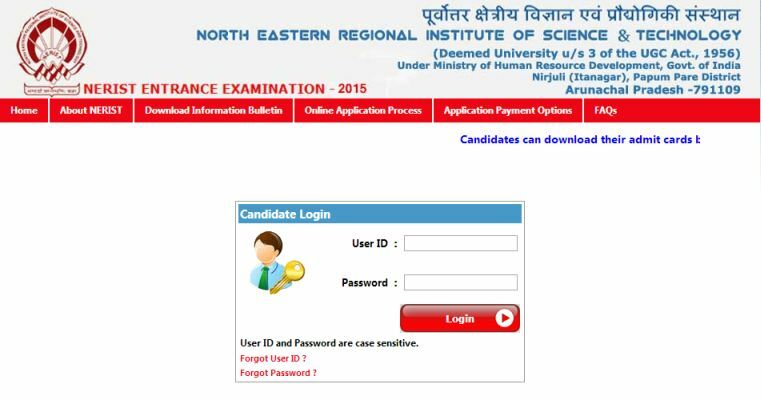 Hi I want the admit card of entrance exam of North Eastern Institute of Science & Technology NERIST? North Eastern Institute of Science & Technology NERIST NEE conducts entrance exam for admission to Certificate, Diploma and Degree Programs at various centres located in the North Eastern States of India. Here I am providing you the process of getting admit card. Go to the official website of the North Eastern Institute of Science & Technology. On this page firstly you have to login. Enter your id and password and then click on login button. After this you will get your admit card.